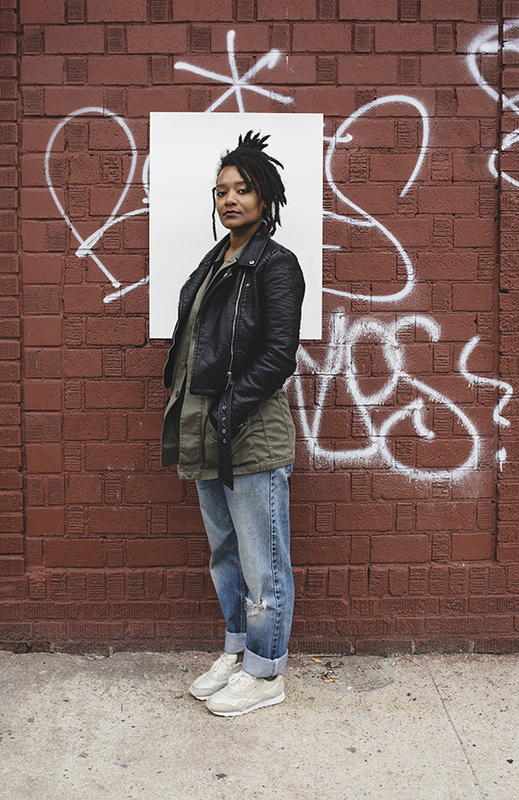 Tatyana Fazlalizadeh is a fiercely talented artist and activist. Her artwork—beautifully rendered oil paintings, large murals, and black and white wheatpastes—is unmistakably her own. With a degree from Philadelphia’s University of the Arts, she is a classically trained artist with a background in illustration. Fazlalizadeh is also a woman with a lot to say. In 2012, she took her art and her activism to the street with her project, Stop Telling Women to Smile, a series of wheatpastes portraying women, along with captions that describe their experiences with street harassment. In the years since the project began, Fazlalizadeh has traveled far and wide, putting up her work and collecting women’s stories. Her poignant words and images have spread to walls across the world. SP: You come from a background in illustration and have focused a lot on oil painting. 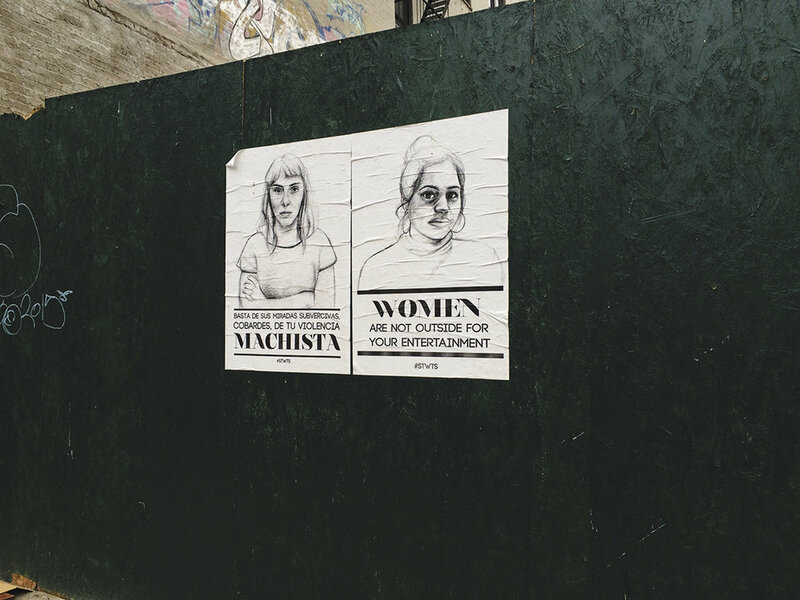 What influenced you to use wheatpaste as your medium for Stop Telling Women to Smile? TF: I wanted to talk about street harassment, so it made the most sense for me to do the work in the street. I try not to limit myself by what I usually do, by what I’ve done in the past, but instead try to think about what space, what medium, what area will make the most impact and be most appropriate for whatever topic that I’m working on. SP: Being born in Oklahoma City and then moving to Philadelphia and, now, New York, you are coming from three very different environments. How did your experience of street harassment differ from city to city? TF: When I moved to Philly, it really started to become this sort of huge problem that was a daily part of my experience. When I was in Oklahoma, I think sexual harassment was something I was experiencing, but I wasn’t experiencing it outside in a public space. It was coming from my peers, or from adult men, or was happening in these other environments. In Philly, it became this more aggressive thing that was happening to me, coming from strangers multiple times a day because I moved throughout the city in public spaces. I became really conscious of it, and aware that this was something that was not okay and shouldn’t be a part of my everyday life.